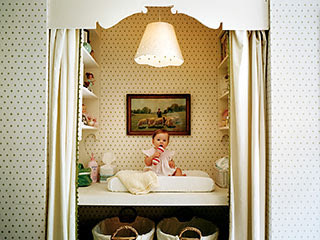 I love love this baby niche from an article in the late Cottage Living. How darling is that bitty space!? I love it.